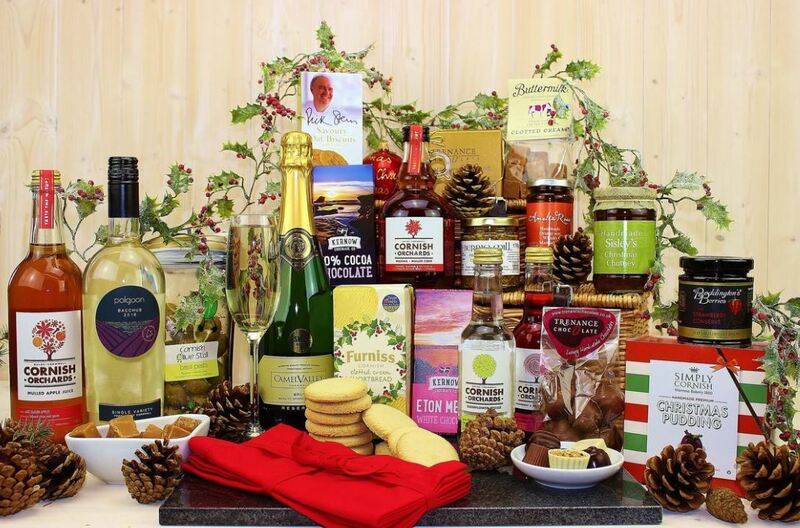 Very few things really get us in the Christmas spirit quite like one of our festive hampers, filled with sweet treats and tipples, all with a Classic Cornish twist! The December-time celebrations are for family time, gift-giving and winding down as the year comes to a close - but one of the things we all relish most is the irresistible treats that we all get to indulge in and enjoy together. To help kickstart your Christmas list, we've put together 6 of the very best hampers, brimming with yuletide inspired goods to tempt any friend or family member. 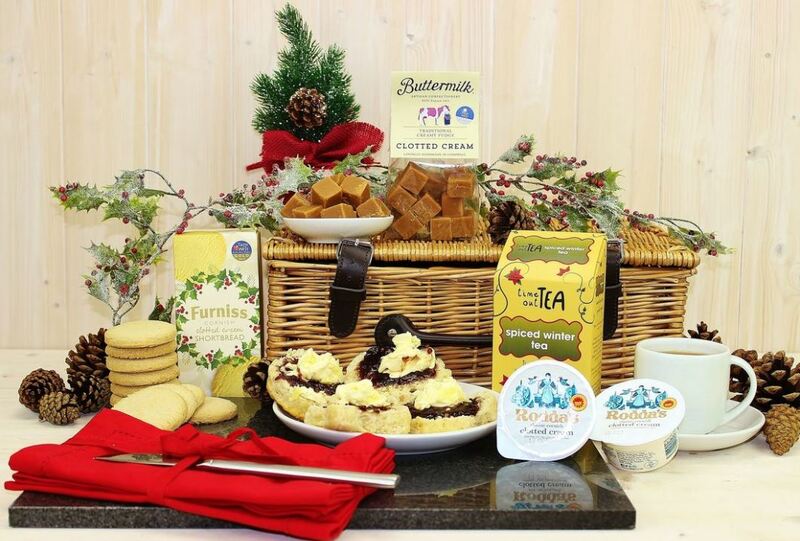 Bring a huge helping of Cornish charm into your home with this 10 piece hamper, filled with everything from comforting Spiced Winter Tea to clotted cream fudge along with all the key ingredients needed to create authentic West Country scones you won't be able to resist. Add a romantic twist to the festivities and treat your special someone to this heartwarming selection of Christmas themed indulgences. 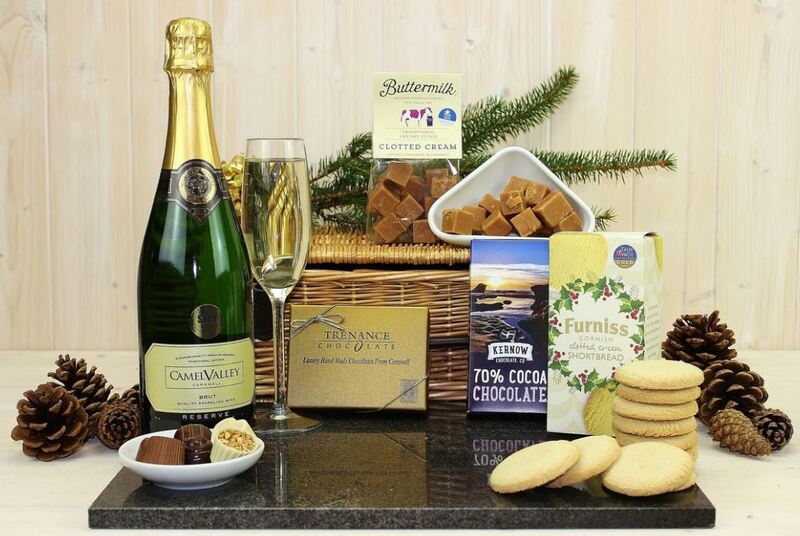 Whether you've got your eye on a slice of Kernow 70% Cocoa Chocolate, a bit of Furniss Clotted Cream Shortbread or a glass of Christmas Day fizz, we've got everything needed to make you fall head over heels. 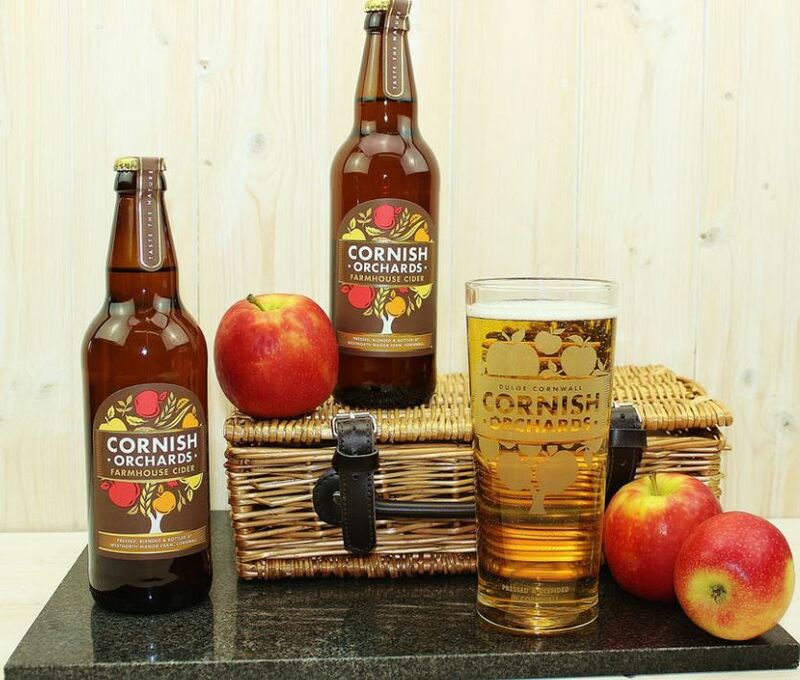 Whether it's Christmas Eve or New Year's Day everyone needs a few bottles of hand-picked cider to get them in the party spirit! 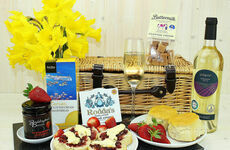 From Vintage to Farmhouse, this gift set has a choice of 8 different ciders to suit the tastes of any friend or family member who will be receiving this hamper. Let the celebrations go off with a bang with no less than 14 luxurious treats to make this year's 'season to be jolly' a huge success. 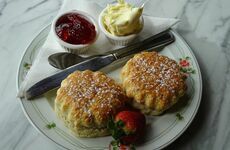 Marvel at the huge array of stunning Cornish produce to stock your cupboards and enjoy over the Christmas break. 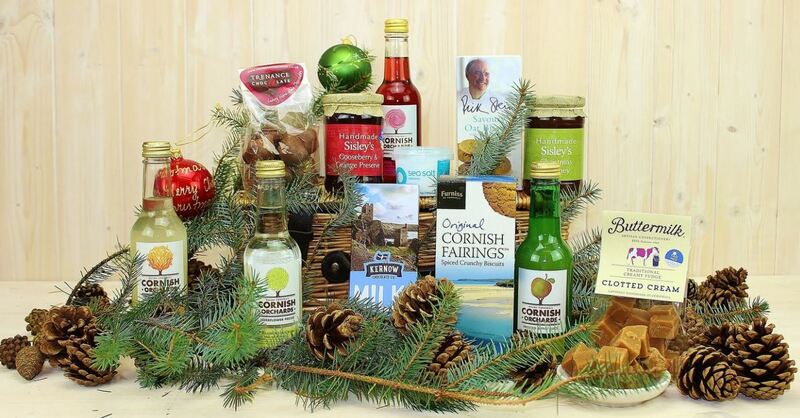 Alcohol-free hampers can be hard to find, but this Christmas Frolic Gift Box has got you sorted! Whether you've quit drinking or you're the designated driver, enjoy an array of sparkling drinks, ginger beers and a selection of sweet and savoury snacks to match. Fancy a festive feast to rival your Christmas dinner? 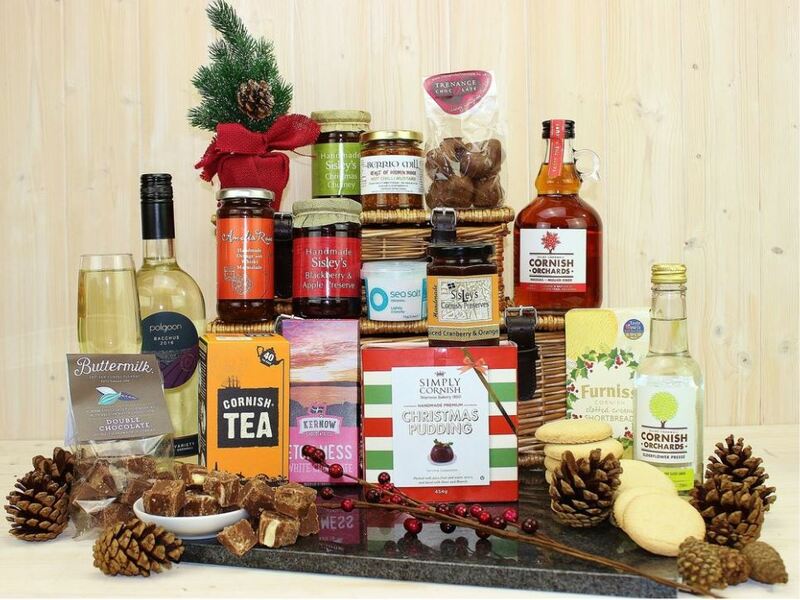 This staggering selection features almost 20 goodies to get stuck into over the winter period. From Cornish Christmas Pudding to biscuits, sparkling drinks, mustard, marmalade and more, this opulent hamper is full to the brim with treats that will last you well into the new year.